Rapunzel/Jack Sparrow. Animated & Live-Action Crossover.. Wallpaper and background images in the disney crossover club tagged: crossover disney animated live-action rapunzel jack sparrow. 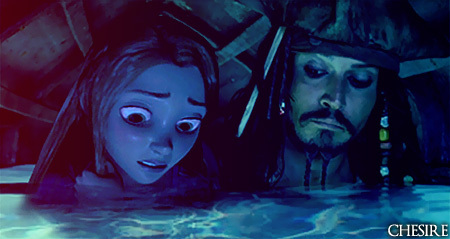 This disney crossover photo contains bañera de hidromasaje.